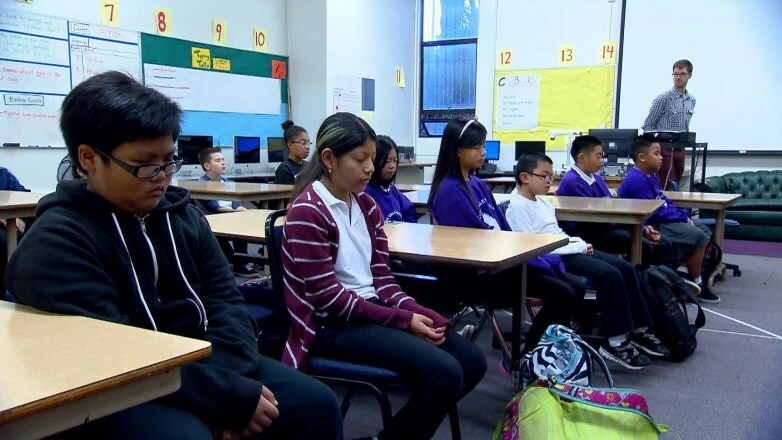 Silence isn’t something people usually associate with middle school, but twice a day the halls of Visitacion Valley School in San Francisco fall quiet as the sixth, seventh and eighth grade students meditate for fifteen minutes. And school administrators tell NBC News that the violence outside of the school, which is situated in one of San Francisco’s poorest neighborhoods, was spilling into the school and affecting the students’ demeanor. Categories: Art of Stillness, In The World, Inspirations, Meditation | Tags: meditation, meditation in school | Permalink.